Today we are going to do something together, either bowling or a movie we haven't yet decided. 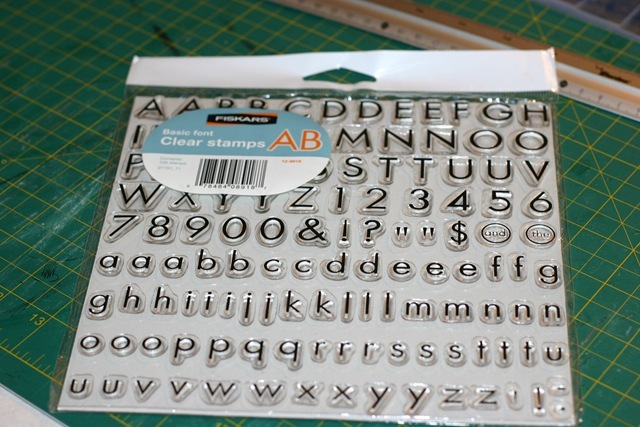 At last Saturday's Archiver's crop I was the final winner of the drawings that night and here is what I won, the Fiskars alphabet stamps! We watched The last lecture on Prime time last night and I also ordered his book. What a moving story and so much to learn from this amazing man. We recorded it so Chelsea could watch it since she had to work late last night. 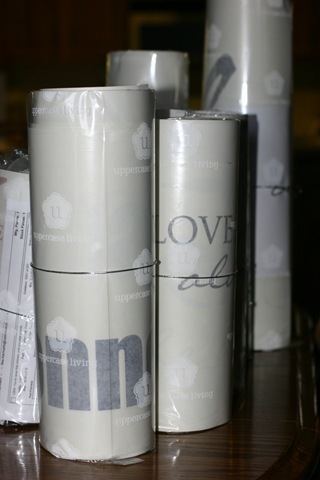 I also got my uppercase living order last night and I'm so excited to start hanging more words around my house, and getting everyone else there stuff too! I got everyone's orders ready to go.